How many layers are there in an enterprise-architecture? If we read any of the standard texts, you’ll see there are several popular answers. For example, Archimate says there are three: Business, Application and Technology. TOGAF says there are four: Business, Data, Application and Technology (though in the ADM, ‘Data’ and ‘Application’ are bundled together as a single layer, ‘Information-Systems’). I’ve seen others that say five, adding an ‘Information’ layer between ‘Business’ and ‘Data’. The one common factor in all of those layered structures, you’ll note, is that ‘Business’ is at the top, and ‘Technology’ – or, more specifically, IT-hardware and infrastructure – at the bottom. If we look at the Zachman framework, we’ll find five layers, or six, or sometimes maybe more, or maybe less, depending on interpretation: it kinda varies. And these layers are somewhat different from those in Archimate and TOGAF and the like: there’s sort-of ‘Business’ and ‘Systems’ and ‘Technology’ and so on, but it’s framed in a different way, kinda sideways on from the rest. So which one is the right way to layer an architecture? Confusing, to say the least… Why all these variations? It’s because the correct answer to the ‘how many layers’ question is ‘none‘. Within any architecture – ‘enterprise’ or otherwise – every entity can be viewed in multiple ways, and often must be viewed in multiple ways if we’re to make sense of where that entity might best fit in the overall scheme. Any supposed ‘layering’ is therefore an arbitrarily-chosen overlay or filter on the overall view. The layers are an artificial abstraction based on a set of assumptions about ‘how the world works’, that exists for practical convenience only, and for a specific type of purpose only – never more than that. There’s a crucial distinction here between ‘useful’ and ‘true’. Layering can be useful – no doubt about that. Yet the moment we think that any layering we choose is ‘the truth‘ – is somehow ‘real’, in and of itself – then we’d have already lost the plot. We’d no longer have an architecture – instead, we’d already be halfway to a poorly-thought-through design that’s riddled with arbitrary assumptions and fundamental flaws. When seen only from the selected viewpoint, the distortions that are needed needed to make it seem to work can become all but invisible. There’ll often be some warning-signs or symptoms that suggest that something doesn’t quite make sense – yet many people will ignore even those, because everything else does seem so much to make sense from that chosen perspective. To recognise what’s really happening, and to make the distortions visible, we have to look at things somewhat sideways-on – as in this New Scientist video of ‘impossible motion‘, or in this YouTube video of ‘impossible balls‘. If we are only going to work from one viewpoint – and only from that one viewpoint – then, yes, subject to a whole string of ifs-buts-and-perhapses, we can sort-of get away with it. For that specific purpose, the practical convenience of a ‘layered’ view would probably outweigh its factual and functional inaccuracies. But if we do do that, then at that time, by definition, we can’t and won’t be doing any kind of whole-of-context architecture. Instead, we could and would only be working on the architecture of a smaller subset within a larger context, as represented by that single viewpoint into the whole. 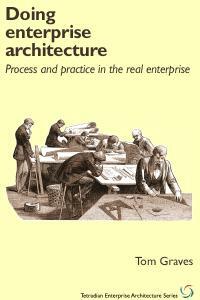 Which is why we cannot and must not mislead people by describing the respective architectures as ‘enterprise’-architectures, because they’re not. By definition, they can’t be – they are only a view of the context as viewed from a single viewpoint. For a true ‘architecture of the enterprise’, the only valid approach is to assume that everything and nothing is ‘the centre’, all at the same time. Anything less than this would almost guarantee distracting distortions, awkward ‘invisibilities’ and unfounded assumptions, and in turn all but guarantee the failure of the overall architecture. …the emergence and evolution of information technology; also the impact of regulation and deregulation enabling key types of business-models; globalisation; the role of containerisation and other physical-transportation technologies; raising and lowering of tariff-barriers; the role of non-IT-managed ‘tribal knowledge’; nanotechnologies; 3D-printing technologies; patents and other ‘intellectual-property’ regimes; the impacts of organisational culture; jurisdictional clashes; the rise of the BRICS nations and the faltering of many ‘developed’ nations; the increasing role of China and others in Africa with regard to control of key mineral-commodities; the risks to global communications posed by rising levels of space-junk and suchlike; broad-scale political themes such as the Arab Spring; and, increasingly, the impacts of climate-change. There are immensely complex architectural trade-offs here, immensely complex wicked-problems, of which only one strand is the IT. 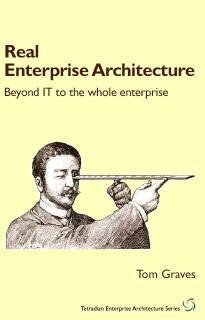 So if the architecture for the enterprise is based on a ‘layered’ concept that implicitly ignores everything other than IT, we might well find the organisation suddenly struggling to survive, with no means to identify what happened nor any means to respond, because the information needed to make sense of what’s going on has been ‘filtered-out’ from the view. — Layered models tend to incite inappropriate conflation – in which logically- and/or functionally-different concepts, attributes or entities become merged or blurred together in inappropriate or misleading ways. 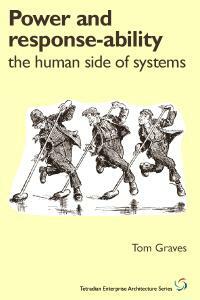 One result, as described in my post ‘On human ‘applications’ in EA models‘, is that neither framework provides any means to describe any information-manipulation ‘application’ that is not enacted exclusively by IT – such as Amazon’s ‘Mechanical Turk‘ (an ‘application’ explicitly designed to be enacted by people) or a kanban board (an ‘application’ that, in its original form, explicitly manages its information via physical cards). Another is that the conflations make it much harder to see or understand options and opportunities for substitution and the like, either by choice – such as in trade-offs between different service-delivery methods in a multi-method service such as mail-sorting – or enforced by ‘outside’ forces or events – such as in business-continuity and disaster-recovery. Such conflations also often make it extremely difficult to avoid ‘vendor-driven architectures’ and similar ‘solutioneering’, in part because it makes it all but impossible to describe some context without all of the baggage pulled in along with it. And these conflations are also a primary source of IT-centrism and other forms of ‘anything-centrism’ – which are all but guaranteed to result in incomplete and/or actively-dysfunctional architectures. 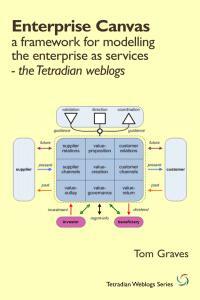 Most current ‘enterprise’-architecture is still strongly IT-oriented. For such types of work – especially in the common case of IT-infrastructures to support high-volume transactions for information-oriented industries such as banking, finance, insurance and tax – the classic ‘three layers of architecture’ concept is a fairly good fit for those particular needs. The problems described above do not disappear as such, but the constraints of that ‘inside-out’ layered-view, centred around IT-infrastructure, do fit those specific requirements well enough such that the convenience of a ‘layered’ model will usually outweigh the risks. Conversely, the further we move outside of those specific constraints, the worse will be the fit between the ‘three-architectures’ model and the respective real-world context. Hence the further we move outward, the more problematic and risk-prone that model will become – and, hence, if the framework we use assumes a layer-based model, we will need to compensate in our architecture-practice for those risks and problems. In other words, it doesn’t have to be IT: the same pattern could apply to finance, security, HR or just about anything else in relation to its broader context. Note, though, that whatever domain we use as our focus for this pattern, we would still need to take care with regard to the ‘non-reversible’ problem described above: those problems are not specific to IT-architectures, but more generally to misuse or misunderstanding of the nature and inherent limitations of that ‘layers’-pattern. Let’s look at the practical implications for each of those three frameworks in a bit more detail. 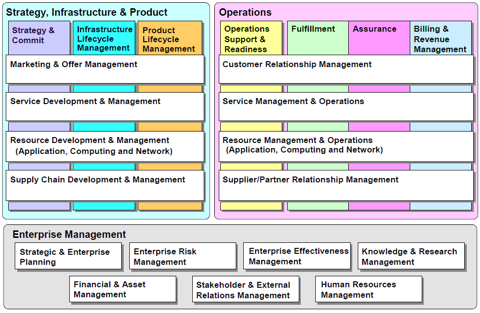 The ‘three-architectures’ problems described above have unfortunately become more prevalent – not less – in the most recent version of Zachman, which now explicitly specifies the same three domains (Business, Application, Technology) of the classic ‘three-architectures’ pattern respectively as the labels for its rows 2, 3 and 4. In previous versions, these were assigned somewhat-more-generic labels such as ‘Business Model (Owner)’, ‘System Model (Designer)’ and ‘Technical Model (Builder)’ respectively. Take especial care to avoid the incipient ‘solutioneering’ that arises from going too fast ‘down’ the rows, and/or failing to hold the view long enough in the ‘higher’ rows. The ‘three-architectures’ model is hardwired into the TOGAF ADM (Architecture Development Method) as its Phases B (‘Business Architecture’), C (‘Information-Systems Architecture’) and D (‘Infrastructure-Architecture’). At first glance, it would therefore seem that it is not possible to use TOGAF reliably for anything other than IT-infrastructure architecture. That interpretation is not actually correct: there are workarounds to enable use of TOGAF ADM for broader-scope architectures. The first of these is explicit in the ADM diagram, though perhaps not fully explained in the text. The key point here is that ADM does not assume that the Phases will be executed in a linear step-by-step sequence. Instead, each of the Phases can return or skip-forward to any other Phase, via a bidirectional link that passes through the central Requirements-Repository. It’s therefore legitimate to move back-and-forth between those three Phases, potentially broadening the scope as required, though still constrained primarily to IT. 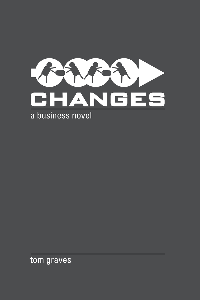 The next option to use Phase A to identify the business-question and enterprise-scope – much as described for Zachman above – and then, based on that scope, reframe Phases B, C and D in terms of the generic ‘three-architectures’ pattern – Big-picture, Common and Detail – to iterate back-and-forth between broader and narrower subsets of the scope. The constraint here is that the ‘non-reversible’ problem potentially still applies – the ‘detail’-view arbitrarily constraining the ‘big-picture’-view – but again this can be dealt with and allowed for, as long as people are aware of the potential problem. A third option is somewhat more radical, though in essence is just a matrix-inversion of the procedures in that part of the ADM. In each of the existing Phases B, C and D, we expect to explore the respective scope in terms of a primary time-horizon (usually ‘to-be’), then do the same with one or more comparison time-horizons (usually ‘as-is’ and any intermediate steps), and finally derive a gap-analysis and initial change-roadmap between each of the time-horizons. Hence in this option we drop the predefined ‘three-architectures’ assumptions about scope, instead setting the scope via the business-question(s) in Phase A, as in the previous option. The focus of Phase B then becomes the scope at the primary time-horizon, Phase C the comparison time-horizon(s), and D the respective gap-analysis and roadmap(s). In each of these options, Phases E, F and G remain essentially unchanged, whilst Phase H can be usefully expanded to include more on benefits-realisation and lessons-learned, much like any other PDCA-type (Plan, Do, Check, Act) continual-improvement process. Finally, another option is to reframe the whole ADM cycle and scope in terms of the ‘plugins’ concept in the content-metamodel of TOGAF 9, but in which – rather than the existing hardwired ‘three-architectures’ – all of the metamodel’s building-blocks, including the nominal ‘core-content’, are available to assist in identifying the respective scope and content for an ADM cycle. 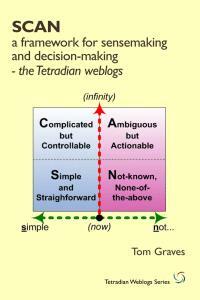 Unfortunately, the ‘three-architectures’ model is even more deeply embedded in Archimate than it is in TOGAF – it’s actually fundamental to its underlying metamodel. Even though there were some improvements in Archimate version 2 that pushed it somewhat towards the kind of ‘plugin’ concept that we see in TOGAF 9, it still remains inherently IT-centric. At present, there are no clear workarounds to IT-centrism in Archimate – none that can be classed as ‘legitimate’ in terms of the language-standard, anyway. In principle at least, there is no ‘legal’ way to use Archimate to model something as straightforward as a multi-medium customer-service capability, or existing business-models such as Mechanical Turk, or brand-architecture, security-architecture, or financial-architecture – or how any of those intersect with the IT-specific components that Archimate does support. It’s true that most toolsets do now enable some form of ‘profile’-modification that makes it possible to add extra entities to the language as required – typically based off ‘static-structure’ elements such as ‘Artifact’, ‘Data Object’ or ‘Business Object’ – but by definition these would be ‘non-standard’, and would fail any form of model-validation in accordance with the association-rules specified in the standard. The correct answer to the question ‘how many layers are there in an architecture?’ is none. 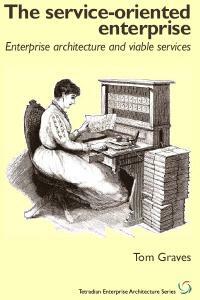 In most cases, there are workarounds for these problems, even in nominally ‘IT-centric’ frameworks. 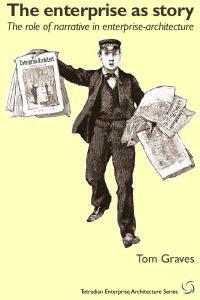 First, though, it is necessary to be aware that the problems exist! I loved this post. I’ll be sharing out to my blog at joshmillsapps.com. I generally write more towards the business users of the EA and executives, but I loved the way this was put together. Thanks! Many thanks, Joshua – glad you found it useful! Very well written !! And I think, each Layer just form another view-point. Thanks, Chandan – and yes, each single layer does represent the concerns of a specific viewpoint. The main idea of ‘layering’ is to try to summarise connections and interdependencies between viewpoints – but the catch is that if the ‘layers’ are considered to be the only things relevant to the overall architecture, then interdependencies and impacts from outside the ‘layers’ can become all but invisible. Good post Tom. My point of view is that hierarchical layering is a valuable technique for decomposing systems using abstraction based (top-down) models, and the number of layers that are required are based on the number abstractions required. (Bottom up or Agent Based Models are also valuable.) In some cases you may require more layers, in some cases less. What to call those layers, and what objects exist on those layers I think we agree is based on a perspective. Clearly we need more than just layers, as this reinforces a certain degree of siloed business functions, unless layers are shared or intertwined or connected. IT should have a business layer, as all business functions should have as they produce products and services (although they are consumed by the enterprise.) There are core and supportive business functions. 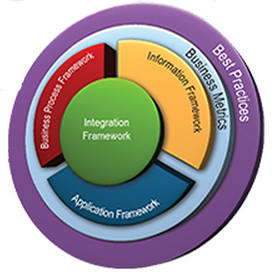 All the business functions together may produce another layer, perhaps an enterprise layer. In my view is a fractal quality to this that I think many EA’s have yet to realize. Great post. I love it. There are few more, somewhat fundamental issues with layering. The first, most important one is the overall oversimplification, which prevents people from thinking and improving. In other words, there is a tendency to be driven by this two, or maybe three-dimensional approach. Sticking to these constrained dimensions is than more important than solving a problem with the simplest possible solution. The irony is that seemingly simple and well-organised approach with layers, drives creation of overly complex solutions. 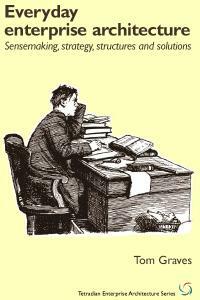 Even worse, it sometimes limits the IT capability to serve business. Another one, also from technology perspective, is the layering within one application. Very common models like 4+1 by Kruchten, prove to drive design from technological point of view instead from functional, which requires custom-made partitioning. This could still be layered, but most often it is even more complex than a matrix. The eventual solution does not need to be complex, measured by cost of development, change and operations. 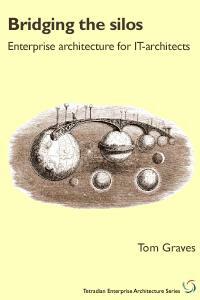 Tom you are right in that layers can be seen as viewpoints that often come in isolation. Hence they can be differently and confusingly interpreted. The right approach for layers is to see them in the context of an EA framework that describes their components and links, that integrates them. I am so glad you wrote this, because now I don’t have to. The aspect-entity reduction applies to the (fraught) distinction between IT and the enterprise/business etc. A part-whole relationship is arguable, but strong ontological distinctions are in today’s world straw-man ontologies at best. The various ‘layer’ systems you critique have some interesting distinctions, for example…. Zachman’s layers are categorical on the x axis but methodological on the y axis. And that method covers the development of business information systems. Clive Finkelstein fleshed this out in some detail in “Enterprise Architecture for Integration: Rapid Delivery Methods and Technologies”. The Zachman schema is actually reasonably functional when applied to the task of designing and implementing business transaction processing systems. Of course there is not a lot of that old-school bespoke development going on these days. I think, however, that we can agree EA does rather suffer from unsightly taxonomical build-up. 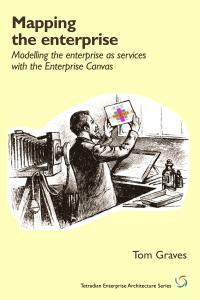 Yes, the y-axis used to be methodological – in fact I based the layering (such as it is) in Enterprise Canvas on exactly that methodology. Sadly, in the most recent version of Zachman, the methodology part seems to have been dropped in favour of an arbitrary alignment with the BDAT stack – in effect combining the worst of both worlds. Oh well. Yes, those linkages are important – in fact to me the key value in Archimate’s modelling. The catch, though, is that these linkages still don’t justify the ‘layers‘ concept: they’re better understood as linkages between viewpoints, not implicitly-hierarchical ‘layers’. Hope that part makes some sense, anyway? – and thanks again. 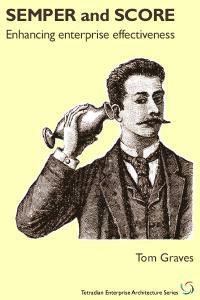 4 Pings/Trackbacks for "On layers in enterprise-architecture"